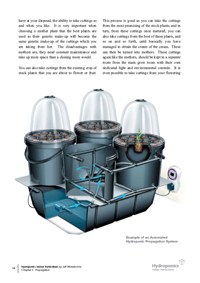 Chapter covers differing methods and processes employed for the germination of seeds, what equipment is necessary, their function and role including an illustration, an explanation of CF and pH levels required for the process and then summarised with diagrams. 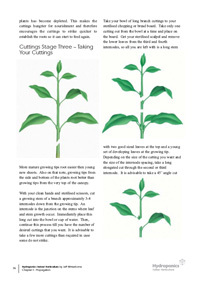 It covers different methods and processes employed for taking cuttings, what equipment is necessary and their function and role including an illustration, an explanation of CF and pH levels required for the process. 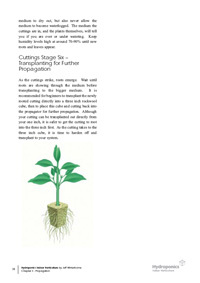 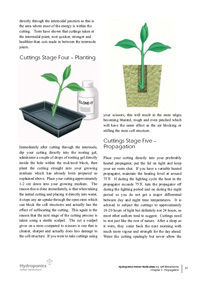 The benefits of cuttings, a 3 dimensional CAD rendering of a hydroponics propagation system, followed by a detailed step by step guide backed up with 3 dimensional CAD rendering of the process of taking a cutting and what equipment is necessary for the job.